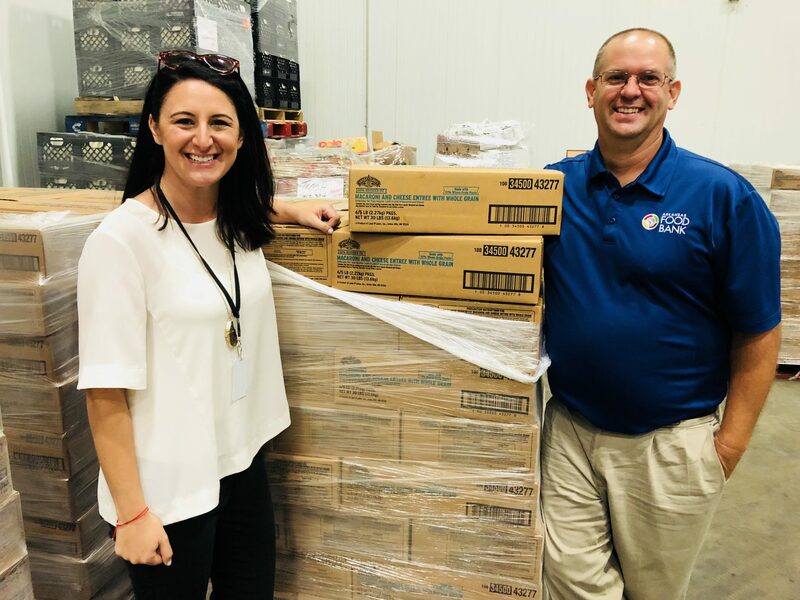 Land O’Lakes, Inc., in partnership with Feeding America donated 40,000 pounds of LAND O LAKES® mac and cheese with whole grain to Arkansas Foodbank through the Land O’Lakes School Pantry Grant Program. The mac and cheese will head out to 14 of our school pantries in Central and Southern Arkansas to help kids and families in need. 1 in 6 people struggle with hunger in Arkansas, including 1 in 4 children. School pantries operate much like other food pantries, with the exception that the pantry only serves school children and their families. Sites are either located on a school’s campus or close by, have set distribution schedules and offer ongoing food assistance services. Last year our 14 school pantries served 2,073 households including 6,883 individuals. Arkansas Foodbank is one of five Feeding America food banks selected to launch the new Land O’Lakes School Pantry Grant Program, which provides nutritious mac and cheese with whole grain to local schools. Each food bank will receive a full semi-truck – 40,000 pounds, or 68,000 servings – of LAND O LAKES® mac and cheese.